Metcalf Reptiles only ships your reptile in secure, foam insulated, vented shipping boxes. Your reptile will comfortably be secured in a clear dilly cup or a cloth bag. Paper filler is used to fill any extra space in the box to ensure a smoother ride for your animal. Shipping your reptile in moderately cool or warm temperatures is safe when packaged correctly. In addition to the standard packaging, heat pack(s) are added to ensure your reptile stays warm for the entire journey during late fall through early spring shipments. We pay close attention to weather patterns in order to provide the safest and most comfortable transportation for your inbound reptile! When temperatures drop below 35 degrees Fahrenheit or spike in the summer heat, we may decide to hold your shipment until the weather clears. If so, we will contact you to arrange another convenient shipping date! 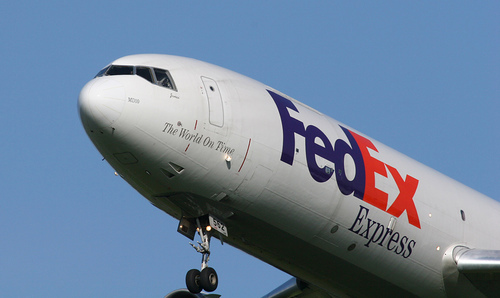 We ship Monday-Wednesday each week via FedEx priority overnight anywhere within the continental United States! We don't ship Thursdays or Fridays for the safety of your animal. Please allow 12 hours for us to process your information and ready your reptile(s). As a result, all orders later than noon will not be shipped until the following morning (all orders received after Thursday noon will not be shipped until Monday of the next week). During the checkout process you will be prompted via drop down menu to tell us which day (Tuesday-Thursday) you would like to receive your reptile. The package usually arrives between 10:00 a.m. and 12:00 p.m. the morning of delivery. A tracking number will be sent to you via email once your reptile is shipped. Please use this number to verify that you will be available when your shipment arrives. If you need to change shipping time(s) or address information please contact us ASAP so we can change the information for you (up to 36 hours before shipment is scheduled to arrive) if possible! *We are unable to ship reptiles to several states as a result of their state laws.